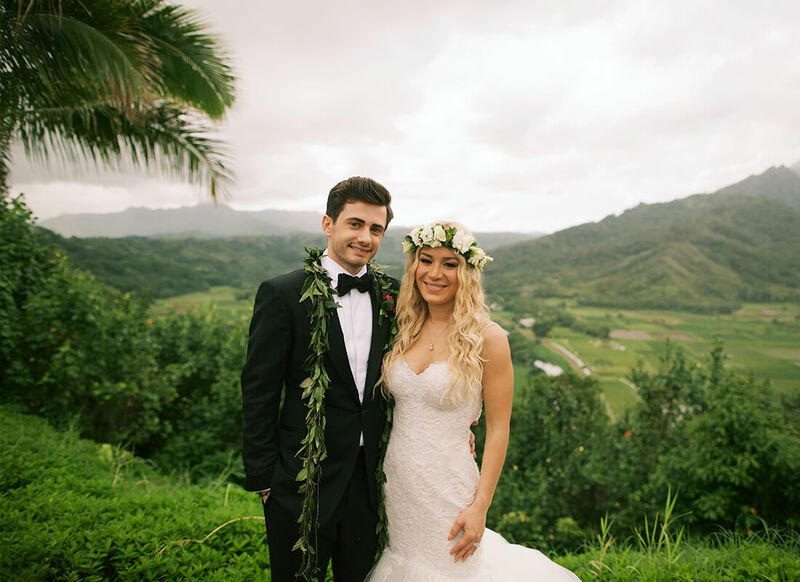 Surrounded by breathtaking tropical flowers with a spectacular view of Hanalei Bay, Jackie wed her love, Harry Monk, at the St. Regis Princeville Resort on May 11, 2016. 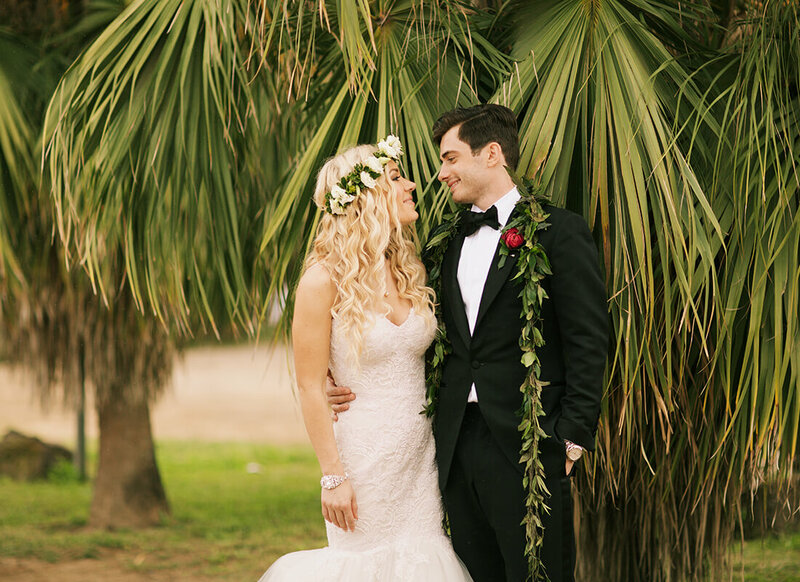 A true beach goddess, Jackie struck the perfect bohemian chic balance in her whimsical yet formal Pnina Tornai mermaid gown. 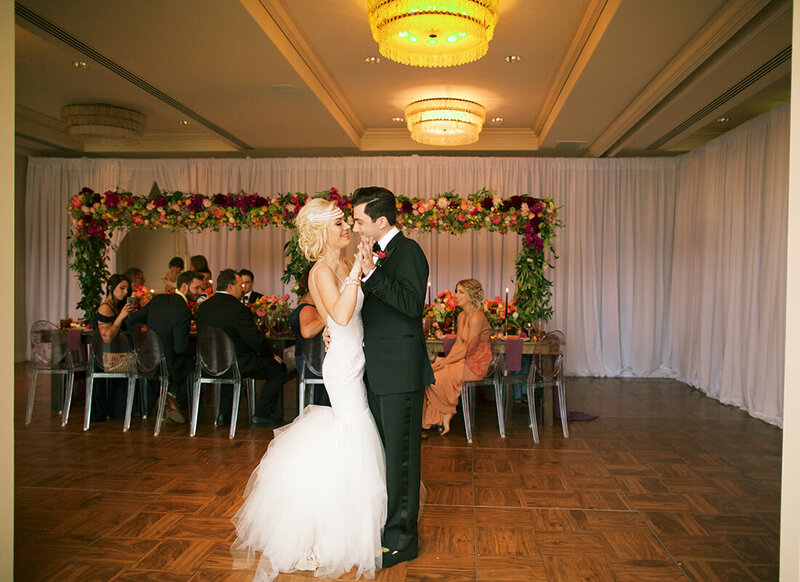 Walking into the boutique and seeing the extravagant collection of beautiful Pnina Tornai gowns, Jackie knew her dream wedding dress was among them. 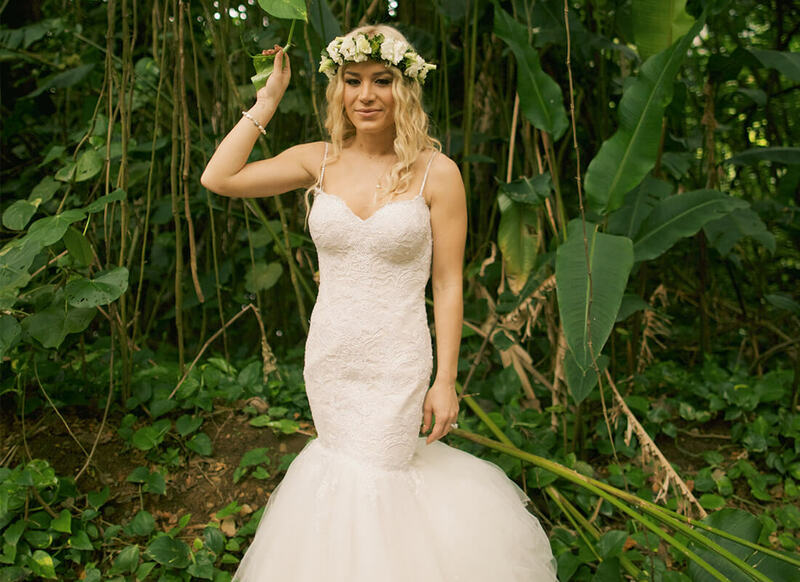 In love with all of the special detailing and extras that adorn Pnina Tornai gowns, Jackie was instantly attracted to a mermaid gown with a dramatic tulle flare out. 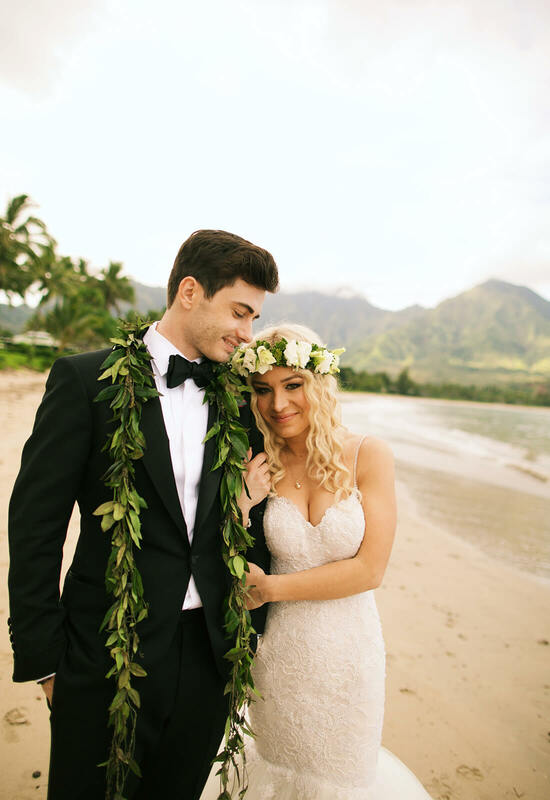 Although she tried on a few other gowns along with the spectacular mermaid gown, none of the others could measure up in her mind – she was ready to say yes to her dress! “It had the straps, the beading, the low back, the tulle, the lace – it sold me,” Jackie explains. 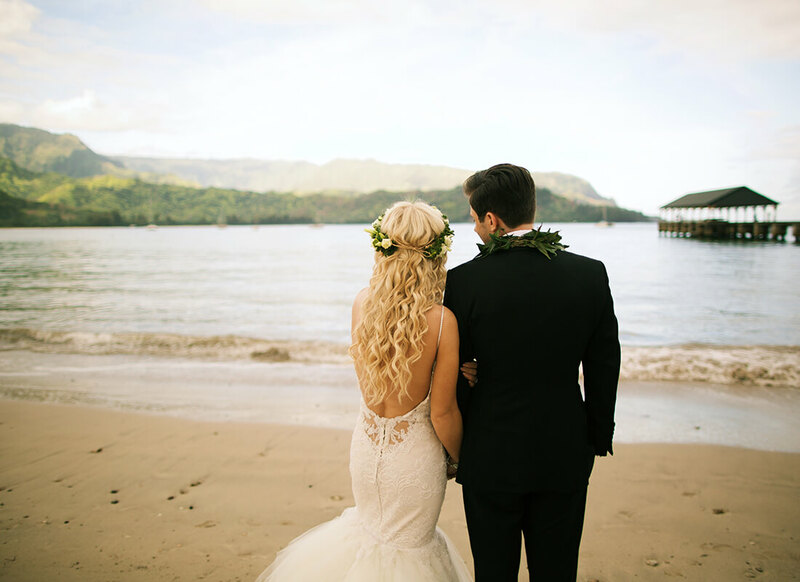 Knowing that she wanted a beachy yet traditional feeling gown, Jackie opted to have the bodice of the gown lined, leaving the low back unlined to not detract from its alluring effect. 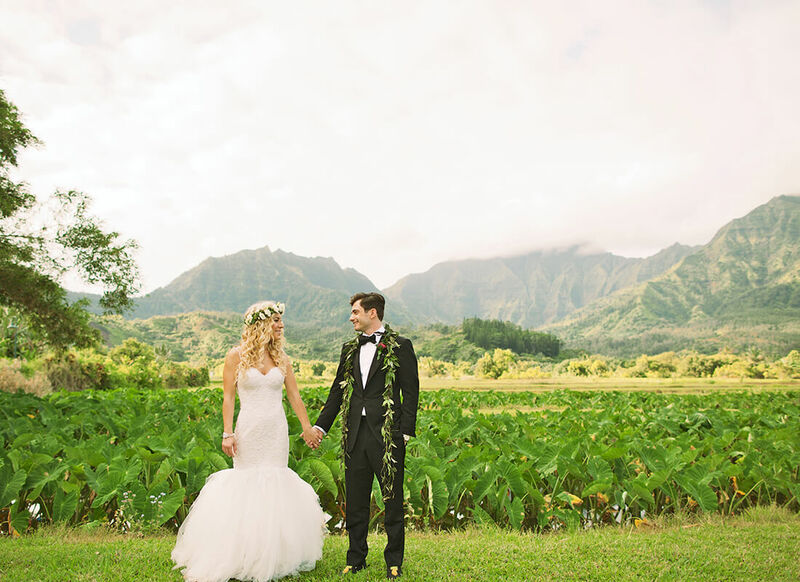 The tulle was ideal for her tropical destination wedding giving the dress a light and carefree feeling while the beaded lace bodice helped the gown fit into the formal occasion. 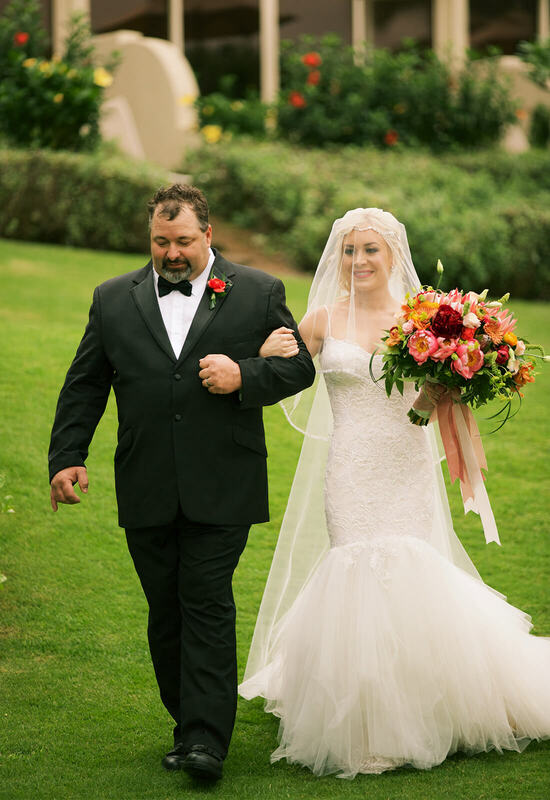 On a sublime day on the Hawaiian island Kauai, Jackie walked down the aisle wearing a beaded lace mermaid gown with a sweetheart neckline, beaded straps, and tulle train. 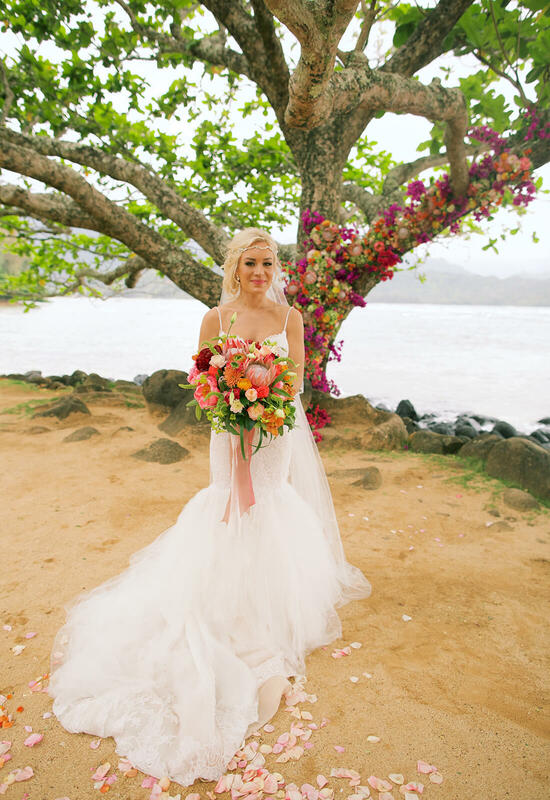 The gown was everything she had envisioned in her head and more making her feel like a true Hawaiian princess. 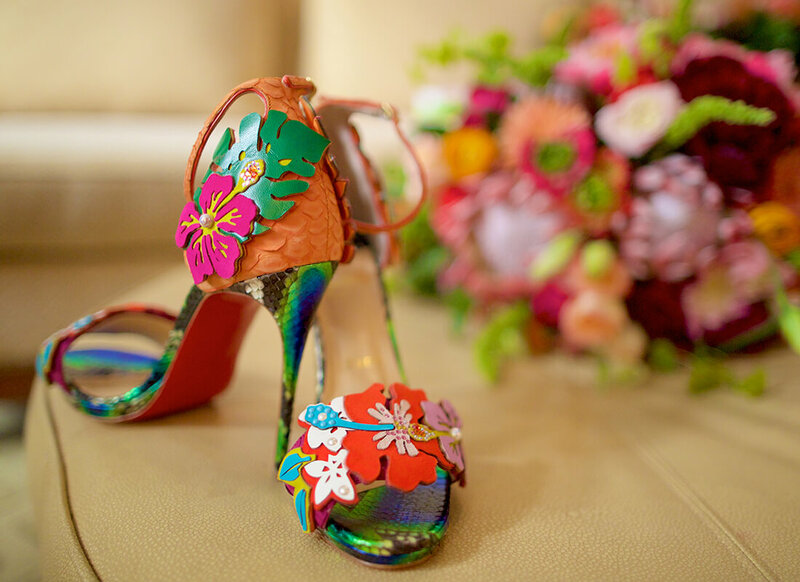 Having found the gown and man of her dreams, Jackie danced the night away with her new husband in the chicest bohemian goddess style.